Yes, you're right. I already reviewed this product! 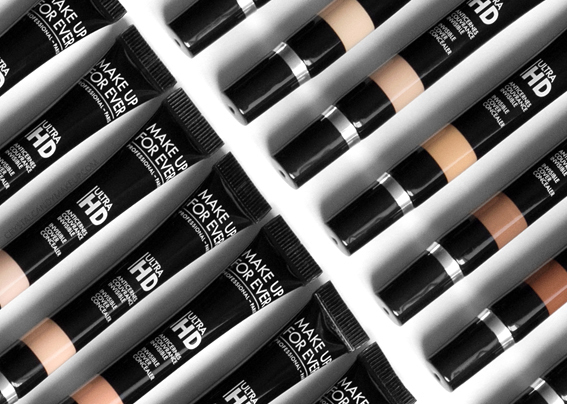 But, I've been lucky enough to receive an amazing package recently, with all the Ultra HD concealers (including the four new shades for deeper complexions). And because the main purpose of this blog is to help you make informed purchases, I thought it would be great to show you swatches of all the shades! If you want to read the full review and see a before/after, click here! I do want to write a little update though, as my opinion changed after a year of use. When I tried it a year ago, the coverage was a bit too sheer for my liking. 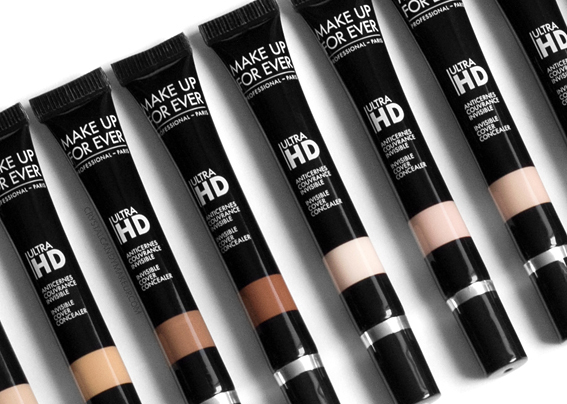 And then, I discovered an awesome combo for dark under eye circles : I mix the Ultra HD concealer with a bit of Full Cover camouflage cream. The Full Cover camouflage cream adds more coverage and lasting power, while the Ultra HD concealer gives some luminosity and moisturizes the skin. When it comes to spot concealing though, I still prefer the Full Cover camouflage cream. It's been a fav for over 10 years! 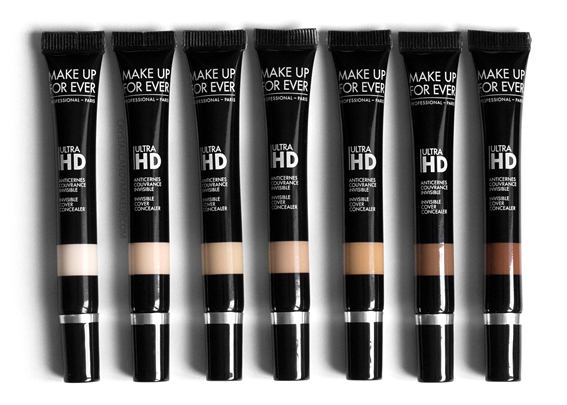 But for my under eye circles, the Full Cover + Ultra HD duo is incredible. Seriously. Let's jump into the swatches now, shall we! 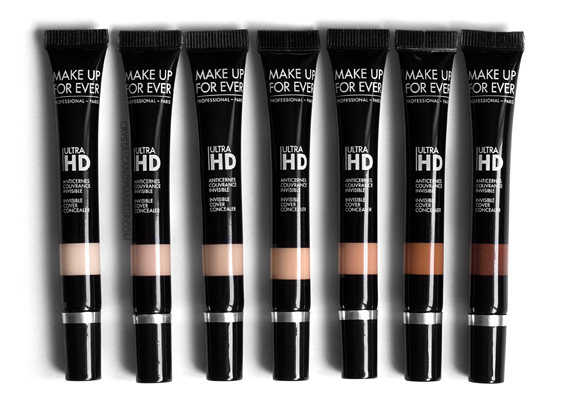 The Ultra HD concealers range is divided into undertones : R for red undertones and Y for yellow undertones. 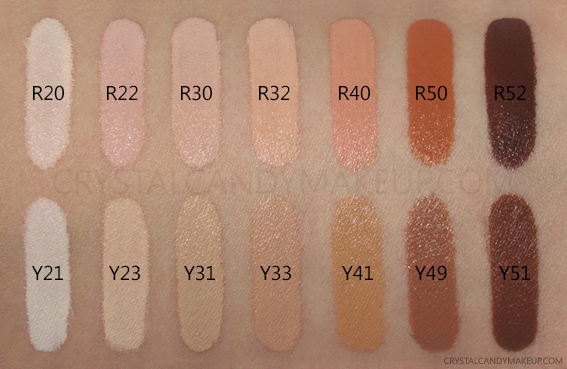 The R shades are usually better for color correcting, while the Y shades are great for brightening the under eye area. Left to right : R20, R22, R30, R32, R40, R50 and R52. Left to right : Y21, Y23, Y31, Y33, Y41, Y49 and Y51. 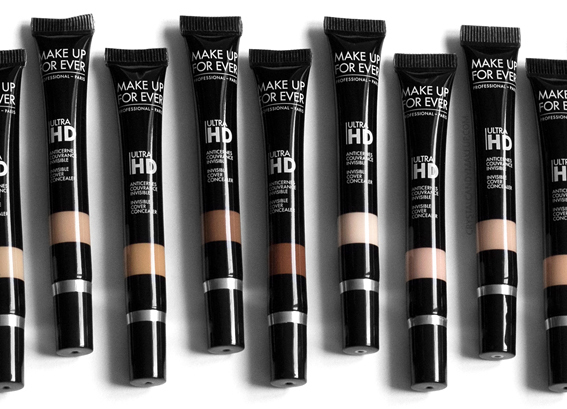 The Make Up For Ever Ultra HD Invisible Cover Concealer retails for $34 CAD for 7ml and is available at Sephora. Such a good concealer! It's my fave when covering up blemishes. Yes the R shades have red/pink undertones, and they are great for color correction! It depends on the color of your under eye circles, if they are blue/purple then the R shades are perfect for that.